Angie, Tommy, Kristy and Sarah are Split 50-50 Winners! Angie & Tommy, Kristy and Sarah join the Split 50-50 Winners club. Glenelg, West Adelaide and SHOC clubs once again raised a good amount of funds last Saturday. $3388 was raised in total by the clubs and of this $1694 was returned to the winners. 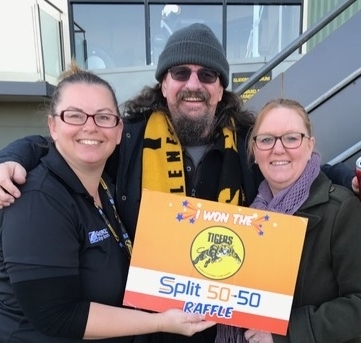 Over the course of the last couple of years, almost $100,000 has been shared by Split 50-50 raffle winners such as those from last weekend. 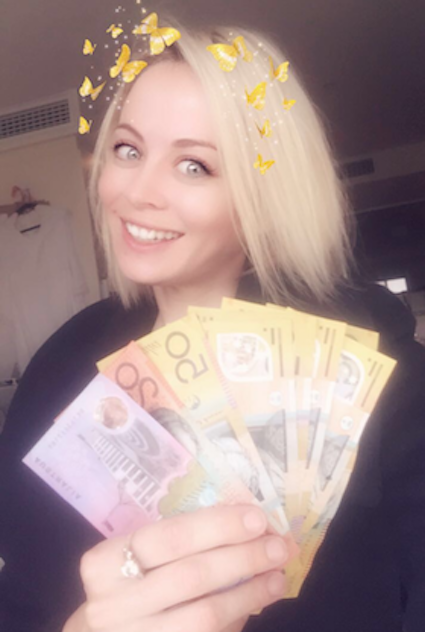 Some raffles are obviously bigger than others, but the thing that stands out every time is that the amount won by the winner has made a difference. 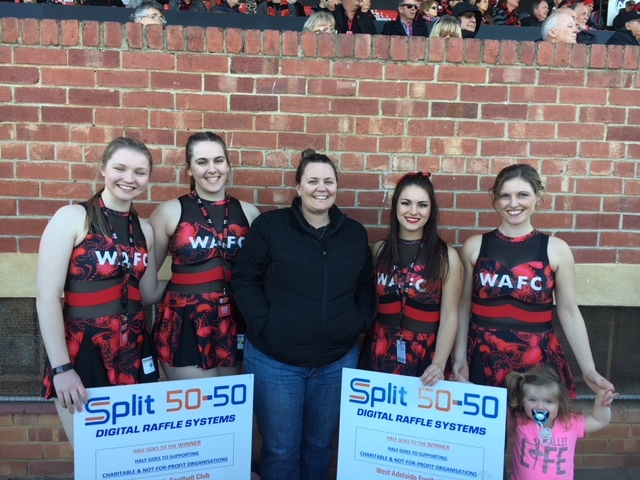 Whether it’s been paying the car registration, clearing up pesky bills, going on holidays or enjoying the proceeds with friends, people have all said that winning a Split 50-50 Raffle has made been a bonus to them. As well, winners have regularly said that they go into the raffle to support the fundraising of the club or non-profit concerned, and winning is a lucky and unexpected outcome.